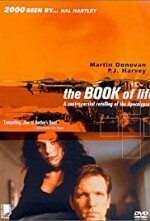 Watch The Book of Life: The end of the millenium has taken on a certain significance in modern day prophecies. What happens if Jesus Christ has second thoughts about the Apocalypse? It is December 31, 1999 and New Year's Eve takes on new meaning when the Devil, Jesus Christ, and Christ's assistant Magdelina discuss and debate the end of the world, the opening of the seven seals, and the essence of being human.